Out of the many interesting presentations on Day One of the 2011 Singularity Summit here in New York, the one that left me with the most to think about was “Regenerative Medicine: Possibilities and Potential” by Dr. Stephen Badylak. Dr Badylak is deputy director of the McGowan Institute for Regenerative Medicine, and a Professor in the Department of Surgery at the University of Pittsburg. In his talk at the Singularity Summit, he described some remarkable ways in which the human body could heal itself – provided we provide it with suitable “scaffolding” that triggers the healing. When he first arrived in the trauma unit of San Antonio’s Brooke Army Medical Center in December 2004, Corporal Isaias Hernandez’s leg looked to him like something from KFC. “You know, like when you take a bite out of the drumstick down to the bone?” Hernandez recalls. The 19-year-old Marine, deployed in Iraq, had been trying to outfit his convoy truck with a makeshift entertainment system for a long road trip when the bomb exploded. The 12-inch TV he was clutching to his chest shielded his vital organs; his buddy carrying the DVDs wasn’t so lucky. The doctors kept telling Hernandez he would be better off with an amputation. He would have more mobility with a prosthetic, less pain. When he refused, they took a piece of muscle from his back and sewed it into the hole in his thigh. He did all he could to make it work. He grunted and sweated his way through the agony of physical therapy with the same red-faced determination that got him through boot camp. He even sneaked out to the stairwell, something they said his body couldn’t handle, and dragged himself up the steps until his leg seized up and he collapsed. Generally people never recovered from wounds like his. Flying debris had ripped off nearly 70 percent of Hernandez’s right thigh muscle, and he had lost half his leg strength. Remove enough of any muscle and you might as well lose the whole limb, the chances of regeneration are so remote. The body kicks into survival mode, pastes the wound over with scar tissue, and leaves you to limp along for life…. Hernandez recalled that one of his own doctors—Steven Wolf, then chief clinical researcher for the United States Army Institute of Surgical Research in Texas—had once mentioned some kind of experimental treatment that could “fertilize” a wound and help it heal. At the time, Hernandez had dismissed the therapy as too extreme. The muscle transplant sounded safer, easier. Now he changed his mind. He wanted his leg back, even if it meant signing himself up as a guinea pig for the U.S. Army. So Hernandez tracked down Wolf, and in February 2008 the two got started. First, Wolf put Hernandez through another grueling course of physical therapy to make sure he had indeed pushed any new muscle growth to the limit. Then he cut open Hernandez’s thigh and inserted a paper-thin slice of the same material used to make the pixie dust: part of a pig’s bladder known as the extracellular matrix, or ECM, a fibrous substance that occupies the spaces between cells. Once thought to be a simple cellular shock absorber, ECM is now understood to contain powerful proteins that can reawaken the body’s latent ability to regenerate tissue. The challenge now is replicating Hernandez’s success in other patients. The U.S. Department of Defense, which received a congressional windfall of $80 million to research regenerative medicine in 2008, is funding a team of scientists based at the University of Pittsburgh’s McGowan Institute for Regenerative Medicine to oversee an 80-patient study of ECM at five institutions. The scientists will attempt to use the material to regenerate the muscle of patients who have lost at least 40 percent of a particular muscle group, an amount so devastating to limb function that it often leads doctors to perform an amputation. If the trials are successful, they could fundamentally change the way we treat patients with catastrophic limb injuries. Indeed, the treatment might someday allow patients to regrow missing or mangled body parts. With an estimated 1.7 million people in the United States alone missing limbs, promoters of regenerative medicine eagerly await the day when therapies like ECM work well enough to put the prosthetics industry out of business. The interesting science is the explanation of the role of the ECM – the extracellular matrix, which provides the scaffolding that allows the healing to take place. The healing turns out to involve the body directing stem cells to the scaffolding. These stem cells then differentiate into muscle cells, nerve cells, blood cells, and so on. There’s also some interesting science to explain why the body doesn’t reject the ECM that’s inserted into it. Badylak speaks with confidence of the treatment one day allowing the regeneration of damaged human limbs, akin to what happens with salamanders. He also anticipates the healing of brain tissue damaged by strokes. Most religious claims are testable, such as prayer positively influencing healing. In this case, controlled experiments to date show no difference between prayed-for and not-prayed-for patients. And beyond such controlled research, why does God only seem to heal illnesses that often go away on their own? What would compel me to believe would be something unequivocal, such as if an amputee grew a new limb. Amphibians can do it. Surely an omnipotent deity could do it. Many Iraqi War vets eagerly await divine action. However, Shermer joked with the Singularity Summit audience, it now appears that Dr Badylak might be God. The audience laughed. In the final talk of the day, cosmologist Professor Max Tegmark addressed the same theme. He gave an estimate of “between 1/10 and 1/10,000” for the probability of human extinction during any decade in the near-term future – extinction arising from (for example) biochemical warfare, runaway global warming, nanotech pollution, or a bad super-intelligence singularity. In contrast, he said, only a tiny fraction of the global GDP is devoted to management of existential risks. That kind of “lack of paying attention” meant that humanity deserved, in Tegmark’s view, a “mid-term rating” of just D-. Our focus, far too much of the time, is on the next election cycle, or the next quarterly financial results, or other short term questions. One person who is seeking to encourage greater attention to be paid to existential risks is co-founder of Skype, Jaan Tallinn (who earlier in the year gave a very fine talk at a Humanity+ event I organised in London). Jaan’s main presentation at the 2011 Singularity Summit will be on Day Two, but he briefly popped up on stage on Day One to announce a significant new fundraising commitment: he will personally match any donations made over the weekend to the Singularity Institute, up to a total of $100,000. With the right resources, wisely deployed, we ought to see collective human intelligence achieve lots more regeneration – not just of broken limbs, but also of troubled societies and frustrated lives – whilst at the same time steering humanity away from the existential risks latent in these super-powerful technologies. The discussion will continue tomorrow. I love your website. You always provide thought-provoking information! 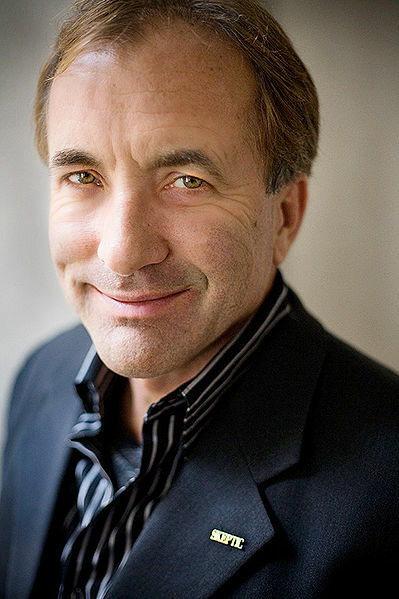 As an aside, I’d like to say that I’m tired of Michael Shermer. What has he done, exactly, to be invited to speak at these type of conferences? 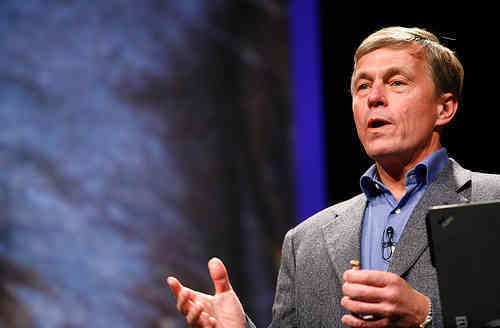 I’ve read his columns in Scientific American and his own Skeptic magazine, and they are often biased and unconvincing. He used the term “Skeptic,” but in truth I find him simply biased, similar to James Randi. He conveniently ignores huge amounts of data that don’t fit into his worldview; for example, the work done by Dean Radin. It seems like he’s invited to these type of things because he espouses a certain worldview, not because he has made any sort of significant scientific contribution himself. Anyway, thanks again for the excellent page! Hi Greg – Many thanks for the kind words about my blog. Re Dean Radin: Someone I respect a lot pointed me in his direction a year or two back, and I did some quick reading, finding myself in general agreement with critical articles such as “What if Dean Radin is right?” by Robert Todd Carroll. I confess I haven’t looked closely at Dean Radin’s work, but my reason for this is that, while I was a postgraduate student, I spent huge amounts of time looking at what was then regarded as the best evidence supporting the existence of the paranormal. (This coincided with the 100th anniversary of the founding of the Society for Psychical Research, and many good books were published to mark the occasion.) Time and again I was initially confident that such-and-such a piece of research demonstrated conclusively the reality of paranormal effects, only for subsequent investigation to undermine that view. Over time, I switched from “tending to believe in the paranormal” to being much more sceptical. I have my BA in Physics with Honors from Harvard, and spent 4 years working on my PhD in Astrophysics at UCSD, so I have a lot of experience evaluating scientific information. I have read Dean Radin closely, and his arguments and, especially, his meta analysis of billions of pieces of data from thousands of studies (and his clear explanation of the “file drawer” problem,) and I am more convinced than not that there is something going on. The effects are subtle, but robust, given the huge amount of data he has assembled. If you have the energy, I would read his two popular books closely. They are worth the time. I don’t really believe that there is necessarily a “paranormal” explanation for these effects, however. I think they will eventually be explained in terms of known or currently unknown physics. For example, something like entanglement might account for certain of these effects.